← Quick Other M thoughts. 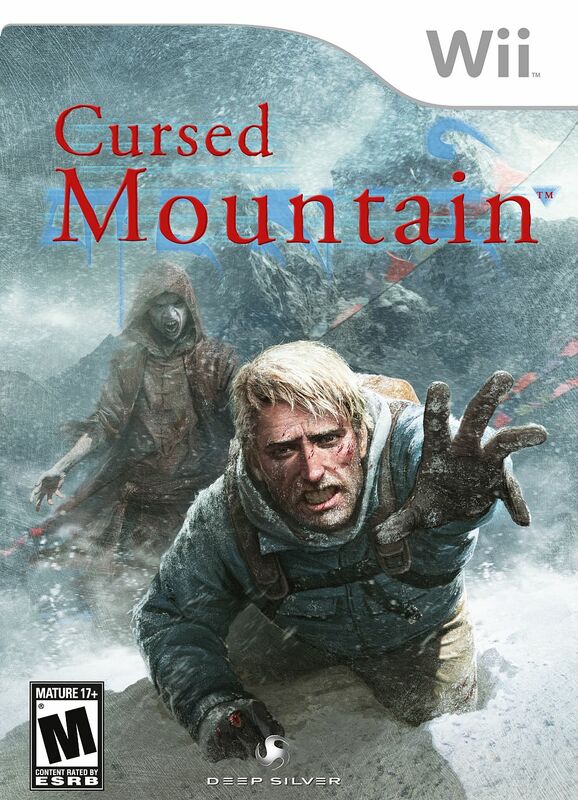 I wrapped up Cursed Mountain this weekend, and I’m happy to report that the initial very positive impressions I had of it continued all the way to the end. It’s hard not to compare it to the Fatal Frame series, and I think that any fan of that series would be well-served to hunt down a copy and dig the Wii out of your closet, where it’s been sitting since roughly 2008. Cursed Mountain has the same sense of being isolated from civilization and hunted by the unfortunate by-products of Ancient Rituals Gone Wrong, and your means of defense is, well, not quite as weird as a spiritual camera but still plenty quirky in its own way. The motion controls never really got less awful, but I did eventually get to the point where I was getting over 90% recognition on the assorted swings and thrusts used in the ghost purification rituals your character needs to perform to properly take the un- out of undead, and that was enough to carry me through the last couple of fairly combat-heavy levels. It’s also the hundredth game I’ve played to completion this year, which is a nice big round number to marvel at. Granted, many of those were very short – fully a third of them were visual novels (16) and hidden-object games (17), and those all tend to be wrapped up in under 6 hours. The big genre just after those, however, was RPGs (15) and those tend to be on the longish side, especially things like Tokyo Mirage Sessions#FE and Dragon Age Origins, both of which were 40+ hours. The one big genre almost completely absent so far has been FPS/TPS style games. I’ve only played four this year, and that’s with counting both Typing of the Dead and Star Trek (2013) in this category when they could easily be filed elsewhere. It’s been a very varied year for platforms, too, since I’ve been trying to finish off the games libraries of any console I have where no new games are coming out. I’ve played games across 18 different platforms, including weird little systems like the Bandai Wonderswan and prematurely-discontinued systems like the Saturn and Dreamcast. I don’t think I’ll ever see that level of diversity again. Even with the focus on clearing out the old, just over 40% of the titles I played were from 2015 or newer. That’s a good thing to see, because it means that I’m actually buying new things to PLAY and not just to sit on the shelf. 20% were 10 years or older, though, which just goes to show that I used to be really bad about that. One of the reasons I started running my site the way I do is so that I will gradually, slowly but surely work my way through my backlog and beat these games to my satisfaction. I also really enjoy reflecting on things after I’ve played them, both from mechanical and narrative perspectives, and spending a month doing so over the course of several articles is a great way to do that. Thanks! I didn’t consciously start this thing as a way to keep myself honest, but it’s kind of turned out that way. Good luck on your own pile of I-Should-Really-Play-That-One-Of-These-Days. 🙂 It’s made for some good reading, especially your longer-form stuff with more historical perspectives. Games reporting is in a very weird place, for sure, but fortunately there are plenty of alternate ways to get information these days. 🙂 I don’t think the big media outlets will ever get out of the “if we don’t give X game a good review, the publisher won’t send us pre-release info on Y game, so let’s bump that score up a notch” cycle. Most of what I play barely gets the time of day from traditional magazines / web sites, which isn’t really a reflection on me being some kind of crazy gaming hipster, just that there is so much stuff coming out and so many years of history and it’s hard to cover that when you need to find a place for 12 pages of glossy pictures of the Next Big Thing. That’s a huge milestone! 100 games is nothing to shake a stick at, despite having smaller titles in there. I find that when you’re trying to clear out a backlog, it’s good to have a few games going at a time, but never more than one long-term (20+ hour) one. The small ones keep you feeling that progress factor, which is important in preventing burnout! Good luck in the coming months, it’s cool how diverse your game selection is. Do you have your backlog available to check out? I’d love to see what else you have on there. Thanks 🙂 I should never have let it get this bad in the first place, but I have poor impulse control when it comes to shiny things. I use backloggery (https://backloggery.com/baudattitude) to keep track of what I still have sitting on the big shelf. I tried HLTB but it was missing too many games and I didn’t want to take the extra effort of adding entries to their database. I still use their numbers for a spreadsheet I maintain; it currently tells me that I only need about 1800 hours of uninterrupted time to catch up. 🙂 How about yourself? Very nice. I’ve had a HowLongTobeat account for years, as a matter of fact I was building a site just like it 6-7 years ago, and they beat me to it! Always jealous of them in that aspect lol. I really like the interface of Backloggery though and HLTB is very, very slow to load every page.